The Kentucky Association of Conservation Districts, in partnership with the Kentucky Farm Bureau, has announced the winners of the 2017 Jim Claypool Art and Conservation Writing Contest. The contest, which has been held for 74 years, challenge students to use the knowledge they have gained in the classroom about the environment, and transform it into creative art work and essays. The art portion is intended for students in grades one through five and the writing portion is for students in grades six through 12. This year’s theme, Water is Life!, helped students from across the state learn more about the importance of water in the Commonwealth. Conservation districts in each county chose winners among the top three submissions in both categories from submitting schools. The districts also chose school winners and runners up for local recognition. This year 48,311 art entries and 14,847 writing entries were submitted for judging. An awards ceremony to honor the winners was held March 12, 2018 at the Capitol Education Center in Frankfort. The awards were presented by Todd Bright of Kentucky Farm Bureau, Crystal Renfro of the Kentucky Association of Conservation Districts and Paulette Akers, director of the Kentucky Division of Conservation. Evie Robertson, a student at Heath Elementary School, was recognized as the state winner in the art contest. Robertson won $250 from Kentucky Farm Bureau. Evie Robertson accepts her award. Emerson Wolfenbarger, a student at West Perry Elementary, was recognized as the state runner-up in the art contest. Emerson was awarded $150 from Kentucky Farm Bureau. Kylie Jenkins, a student at Stanford Elementary School, was recognized as the state’s third-place winner in the art contest. Jenkins was awarded $50 from Kentucky Farm Bureau. Kylie Jenkins receives her award. Kylie Jenkin’s award winning artwork. Sophie Michonski, a student at South Livingston Elementary, was recognized as the Area 1 winner in the art contest. Michonski was awarded $50 from Kentucky Farm Bureau. Marybeth Miller, a student at Calhoun Elementary, was recognized as the Area 2 winner in the art contest. Miller was awarded $50 from Kentucky Farm Bureau. Marybeth Miller’s award winning artwork. Max Comings, a student at Payneville Elementary, was recognized as the Area 3 winner in the art contest. Comings was awarded $50 from Kentucky Farm Bureau. Caroline Carwile, a student at Bluegrass Christian Academy, was recognized as the Area 4 winner in the art contest. Carwile was awarded $50 from Kentucky Farm Bureau. Anna Carwile (center) receives her award..
Hailey Webb, a student at Williamstown Elementary, was recognized as the Area 5 winner in the art contest. Webb was awarded $50 from Kentucky Farm Bureau. Hailey Webb receives her award. Khaled Khalaf, a student at Mercer Intermediate School, was recognized as the Area 6 winner in the art contest. Khalaf was awarded $50 from Kentucky Farm Bureau. Khaled Khalaf receives his award. Abigail McCowan, a student at Tyner Elementary, was recognized as the Area 7 winner in the art contest. McCowan was awarded $50 from Kentucky Farm Bureau. Carli Conley, a student at Russell McDowell Intermediate School, was recognized as the Area 8 winner in the art contest. Conley was awarded $50 from Kentucky Farm Bureau. Carli Conley receives her award. 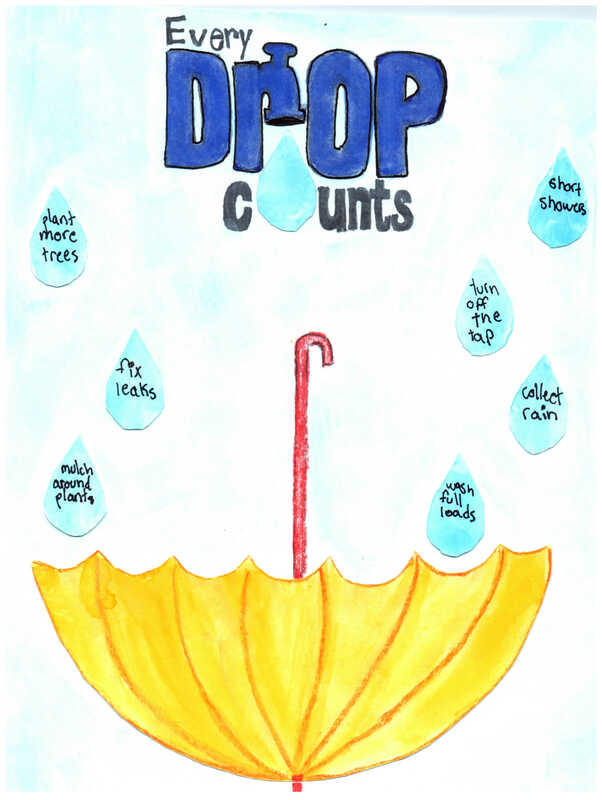 Camryn Roark, a student at Carr Creek Elementary School, was recognized as the Area 9 winner in the art contest. Roark was awarded $50 from Kentucky Farm Bureau. Lucas Gibson, a student at West Perry Elementary, was recognized as the state winner in the essay contest. Gibson was awarded $250 from Kentucky Farm Bureau. William Tyler Moehrke, a student at Spencer County High School, was recognized as the state runner up in the essay contest. Moehrke was awarded $150 from Kentucky Farm Bureau. Kylie Jackson, a student at Green County High School, was recognized as the state third-place in the essay contest. Jackson was awarded $50 from Kentucky Farm Bureau. Kylie Jackson and her award winning essay. Jessica Wicker, a student at Calloway County High School, was recognized as the Area 1 winner in the essay contest. Wicker was awarded a monetary gift from Kentucky Farm Bureau. Essie Guerra, a student at Todd Central High School, was recognized as the Area 2 winner in the essay contest. Guerra was awarded $50 from Kentucky Farm Bureau. Essie Guerra receives her award. Cam Lich, a student at Edmonson County High School, was recognized as the Area 3 winner in the essay contest. Lich was awarded $50 from Kentucky Farm Bureau. Cam Lich receives his award. Anna Claire Carwile, also a student at Bluegrass Christian Academy, was recognized as the Area 4 winner in the essay contest. Carwile was awarded $50 from Kentucky Farm Bureau. Anna Carwile (center) receives her award. Lydia Naberhaus, a student at St. Thomas School, was recognized as the Area 5 winner in the essay contest. Naberhaus was awarded $50 from Kentucky Farm Bureau. Lydia Naberhaus receives her award. MacKenzie Reister, a student at Mercer County High School, was recognized as the Area 6 winner in the essay contest. Reister was awarded $50 from Kentucky Farm Bureau. Cole Edwards, a student at Wayne County High School, was recognized as the Area 7 winner in the essay contest. Edwards was awarded $50 from Kentucky Farm Bureau. Cole Edwards receives his award. Kailee Lyons, a student at WR Castle Elementary School, was recognized as the Area 8 winner in the essay contest. Lyons was awarded $50 from Kentucky Farm Bureau. Autumn Johnson, a student at Lee County High School, was recognized as the Area 9 winner in the essay contest. Johnson was awarded $50 from Kentucky Farm Bureau. Students are pictured with (from left to right): Todd Bright of Kentucky Farm Bureau, Crystal Renfro of Kentucky Association of Conservation Districts and Paulette Akers of Kentucky Division of Conservation. Photo credits: David Hargis.